• At 12:46 a.m. on Jan. 24, deputies conducted a traffic stop on West Main Street in Clarksville for a brake light violation. While making contact with the driver, an open container of alcoholic beverage was “in plain sight,” according to the report. Upon inspecting the container, suspected narcotics were located. • At 4:10 p.m. on Jan. 25, a 51-year-old Martinsville male reported someone damaged the passenger side-view mirror on his vehicle around Airborne Road in Wilmington. • At 9:58 a.m. on Jan. 26, a 66-year-old Wilmington male reported his 2007 black Chrysler Pacifica was stolen from the 900 block of Polk Road in Sabina. 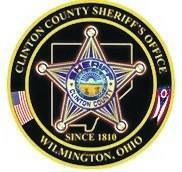 • A 33-year-old Wilmington female reported her credit card was being used without permission at 12:38 p.m. on Jan. 26. • At 4:20 p.m. on Jan. 26, police received a criminal damage report that took place on the 600 block of Buck Run Road in Chester Township. The report indicates the windshield of a 23-year-old male’s vehicle and the driver side door of a female subject’s vehicle were damaged. A suspect known to the victim is listed.